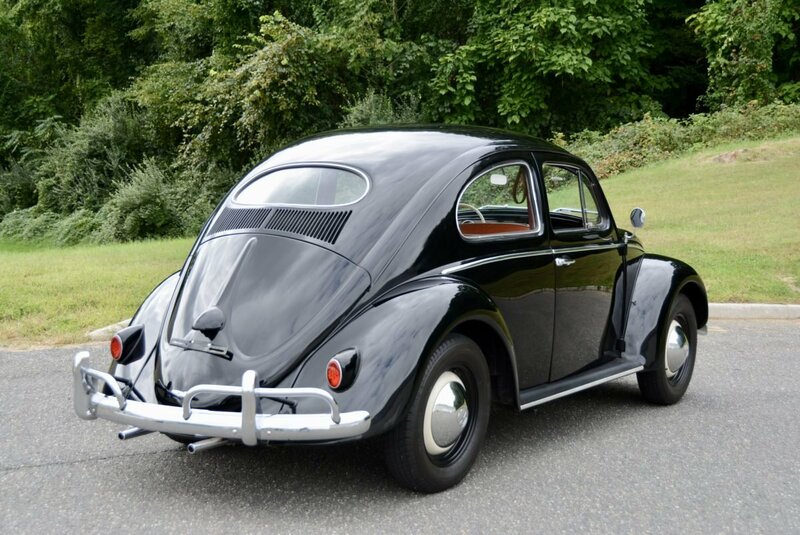 1956 Volkswagen Oval Window Beetle finished in Black with Red Leatherette interior. 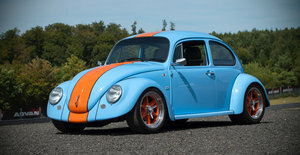 - Totally restored seven years ago, this Beetle is among one of the cleanest we have seen. I couldn’t help but laugh the first time I got in this car. 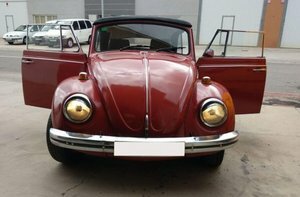 As in the 1973 Woody Allen movie Sleeper, Woody came across a 200 year old VW in a cave. 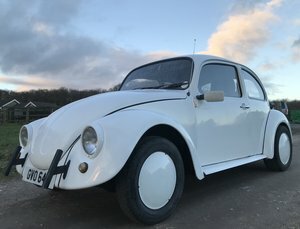 He turned the key and the VW started right up. - This car starts the same exact way. With a pump of the gas and a key turn, she starts to hummmm. 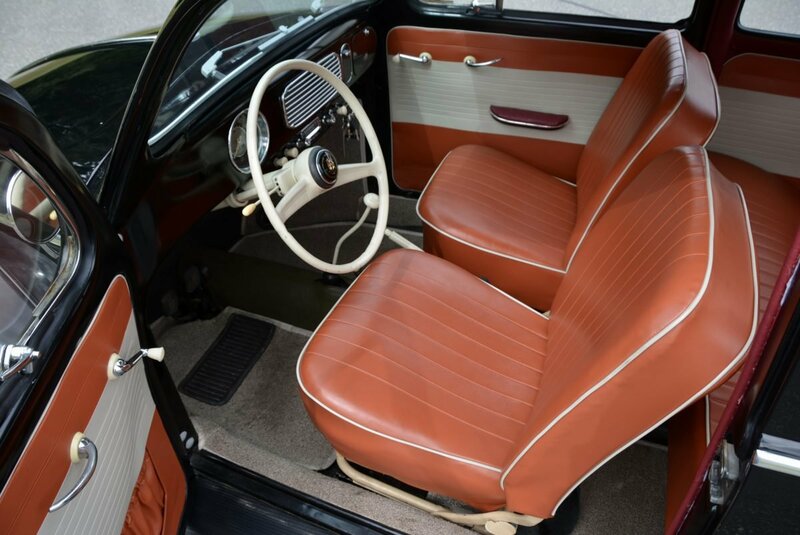 - This is very tidy car that had lots of love and attention bestowed upon it during the extensive restoration process. - The body, paint, interior, chrome and mechanicals are all top notch. 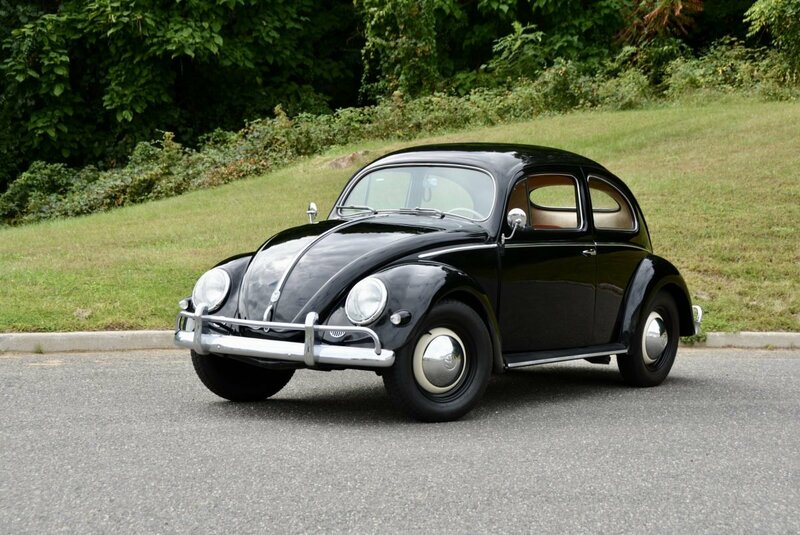 - The Volkswagen Beetle is the most successful automobile of all time with more than twenty million units produced. 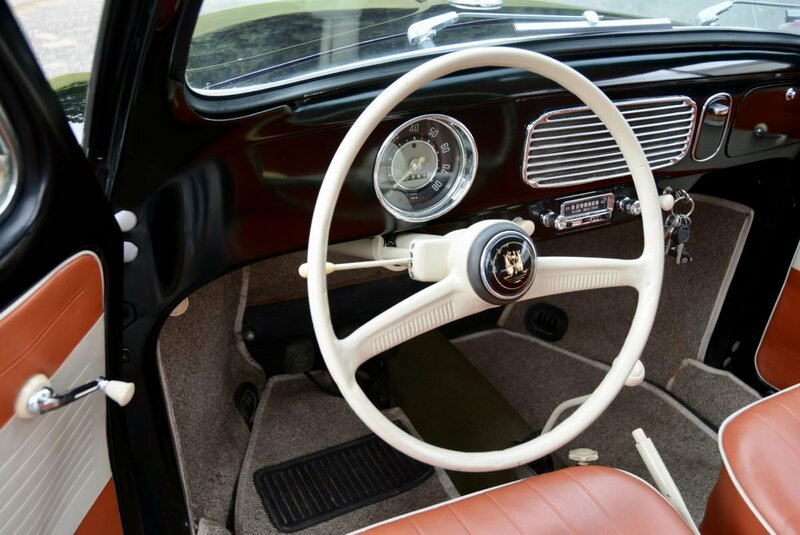 They are full of character and certainly fulfilled the original goal of becoming “the people’s car” thanks to Dr. Ferdinand Porsche’s foresight. 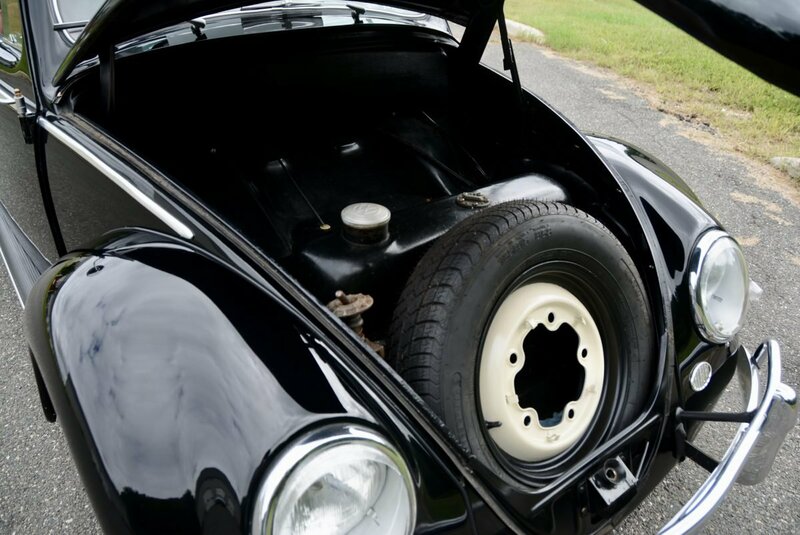 - The Beetle is an extraordinary car and has become a cult object today, particularly the earliest examples whose superior build quality and period detailing have become sought after by collectors everywhere. 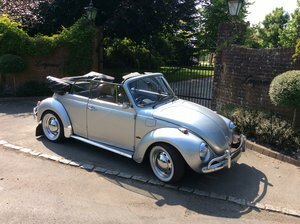 - Volkswagen experts will tell you that cars built up to 1956 are particularly sought after for their styling and the improved engine, brakes and gearbox. 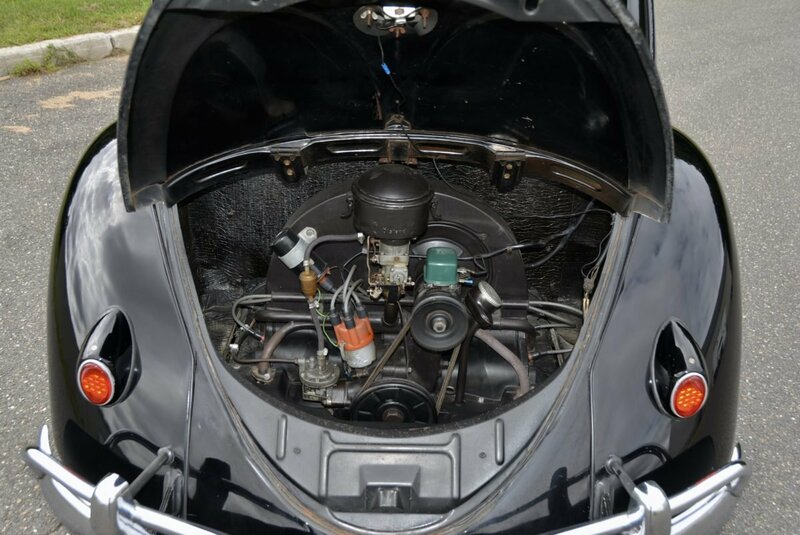 The horizontally opposed ‘boxer’ engine was heavily reworked in 1953, with displacement rising to 1192cc while power was lifted to 30bhp.